The other day a delegation of Czech politicians returned from the annexed Crimea. 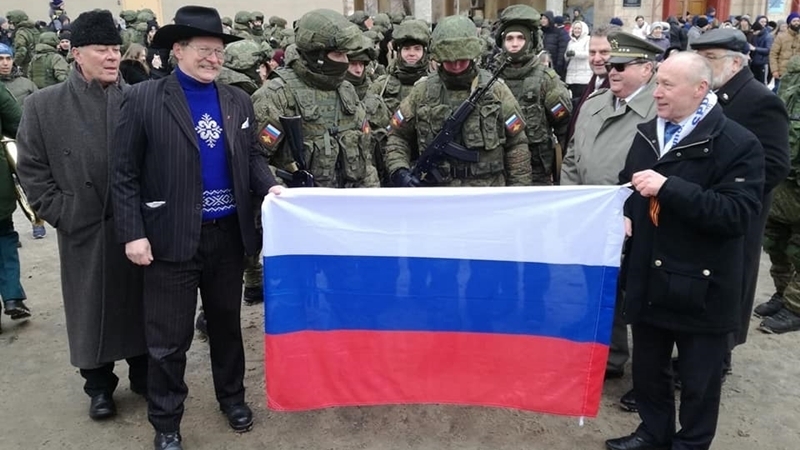 According to Czech media, members of the delegation held meetings with the Russian military forces, in particular, they were photographed with them, holding the Russian flag, Radio Liberty reports with reference to the Czech media. Senator Jaroslav Doubrava is already banned from entering Ukraine after he visited the occupied Lugansk in 2014. Speaker of the Senate Eva Davydova noted that although the information about this trip may cause concern, the Senate office did not receive any reports that this visit can be regarded as an official one. “Neither before the trip, nor after it we were informed about this event. Therefore, we consider this trip as his private initiative or action. On these grounds, we cannot say anything or comment on anything," Davydova stated. The Czech media report that this visit can potentially be regarded as an act of supporting Russian occupiers after the victory of the pro-Russian politician Milos Zeman in the election. Earlier, the incumbent President Milos Zeman, who is in friendly relations with Vladimir Putin was re-elected in the Czech Republic. The Ministry of Education of the Czech Republic withdrew school atlases, issued in 2017, in which the occupied Crimea was designated as the territory of the Russian Federation.